A Short Sale is a real estate transaction in which the proceeds of the sale do not cover the balance owed on a loan or loans on the property. Lenders, quite simply, accept a discounted payoff on the loan and allow the sale of the property to close. The bank or mortgage lender will agree to discount the loan due to a hardship on the part of the borrower. This allows the homeowner to sell the property for less than the outstanding balance of the loan and turn over any proceeds to the lender, most often in full satisfaction of the debt. A short sale is accomplished through negotiation with a bank’s loss mitigation or workout department on the part of the Real Estate Professional, but the servicer or note holder has the right to approve or disapprove any proposed sale. Using a Certified Pre-Foreclosure Specialist – and not just any real estate agent – will increase the effectiveness of the negotiation with the bank. Main factors contributing to the lender’s decision are the borrower’s financial and personal situation as well as the current state of the real estate market. A short sale, in short, is a lender taking a loss to avoid larger costs. It is neither the lender doing the homeowner a favor, nor an easy way out for the homeowner, but a process enabled by the real estate professional and homeowner when they are committed to avoiding foreclosure. The main goal of a short sale is to prevent foreclosure, however, the bank’s decision to move forward with a short sale is dependent on whether there will be a smaller financial loss taking the short sale or in the carrying costs associated with foreclosure. Typically, a bank will determine the amount of equity by determining a probable selling price from a broker price opinion (BPO) or appraisal, and decide to approve or deny the short sale based on the offered short sale price difference compared to the cost of foreclosure. Banks will not accept all short sales, and a trained, knowledgeable real estate professional is paramount to the process of getting a short sale approved. Advantages for the homeowner are avoidance of a foreclosure on their credit history and some partial control of the monetary deficiency. Additionally, the process of a short sale is faster and less costly than foreclosure. Controlling that deficiency and paying off one’s debt via a short sale is a sure-fire way to sidestep immense financial hardship and get back on one’s feet. While a short sale does adversely affect a person’s credit history, the impact is far less than that of a foreclosure. In essence, many homeowners can eliminate their mortgage debt, tax liability and stress by working with the bank in a short sale. The seller can avoid having a “foreclosure” on their credit report. According to recent Fannie Mae guidelines, if you go through a short sale you can be eligible to buy a home with a Fannie Mae loan 2 years after the short sale is complete. After foreclosure, a homeowner must wait at least five years to be eligible for a Fannie Mae loan. Assuming a seller is already not making mortgage payments, they can continue to live in the property and not make payments during the short sale process. The lender of record actually prefers that the borrowers continue to live in the property. Statistically, occupied homes tend to be better maintained than vacant properties, making the property more marketable. Most sellers feel that staying in the house is the “right thing to do” when in default. They tend to feel that walking away from the house is irresponsible and unfair to the lender. For most homeowners, a Short Sale is a respectable option. When doing a short sale, the senior lien holder will pay for the cost of the sale (i.e. commissions, escrow fees, title insurance, delinquent property taxes, etc…). Typically, the short sale requires no out-of-pocket expenses from the seller. Short Sale – If the sale proceeds are less than the total amount owed to the lender, the lender may agree to a short payoff or a “short sale” and write off the portion of the homeowners’ mortgage that exceeds the net proceeds from the sale. Deed-in-lieu of Foreclosure – If you cannot sell your home in a reasonable amount of time, your mortgage company may allow you to voluntarily transfer the deed to the property to the mortgage company. Refinance – Refinancing requires income, credit, and equity to support a new mortgage or deed of trust. If you current income cannot pay your present mortgage, it may be difficult to convince another lender to offer you a loan with a reasonable interest rate. Based upon the more stringent standards of qualifying criteria for loan applications, refinancing in today’s market is becoming less and less of a viable option. Forbearance – an agreement with the lender that temporarily allows the homeowner to pay less than the full amount of their mortgage payment, or perhaps even nothing at all during the “forbearance period”. Lenders might consider forbearance when you can prove the them that funds from a bonus, tax refund, or other source will bring the homeowner’s mortgage payments current at a specific date in the future. Reinstatement – occurs when the homeowner pays the lender the total amount they are behind in a lump sum, by a specific time in the future. A reinstatement is often combined with forbearance. Repayment plan – is an agreement with the lender that gives the homeowner a fixed amount of time to repay the amount they are behind. They do this by combining the homeowner’s delinquent portion along with their regular monthly payment. At the end of the repayment period, the homeowner has paid back the delinquent mortgage and is now current. Short Refinance – This is the latest trend for lenders in working with delinquent borrowers to avoid foreclosure. The lender agrees to refinance the home with a reduction in the principle balance. Sometimes the lender will also reduce the interest rate as well as on the new loan. The borrower needs to provide proof of “hardship” and fully document the ability to pay the new mortgage. Bankruptcy – A bankruptcy may allow the homeowner to discharge some debt and reorganize others to keep the property, however, if homeowners do not or cannot make the house payment after the bankruptcy, the home is foreclosed on anyway. Would a bank accept a short sale if the homeowner is current on payments? What is the difference between a recourse and a non recourse loan? FAQ: Why would a homeowner choose a short sale? A short sale is usually chosen in order to prevent foreclosure. If financial hardship or other circumstances arise, homeowners may not be able to keep their loans current, and eventually their homes will go into foreclosure. The homeowner often wants to avoid foreclosure on their credit history. With a short sale, the homeowner may also be able to resolve the monetary deficiency (money owed to the bank) that goes with a discounted payoff. FAQ: Why would a bank accept a short sale? Banks often accept short sale transactions when they believe that the financial amount lost from the discounted payoff is less than the loss associated with foreclosure. A bank will not have the burden of carrying costs or the trouble of selling the property, so short sales are often a better option if foreclosure is likely. FAQ: Do banks accept all short sales? No. That is why it is critical for homeowners to work with an agent who has acquired the education and experience necessary for getting short sales approved. An agent’s knowledge and experience is their best weapon for navigating through the presentation of the short sale package to the lender, working with the loss mitigation departments, and obtaining a favorable outcome. FAQ: Would a bank accept a short sale if the homeowner is current on payments? The answer is, maybe. Some lenders will accept a short sale file for approval on the loans that are on delinquent, however, this is very rare. Other lenders will not accept the file until the loan is delinquent. One way to find out whether your lender will accept a short sale file for approval on a loan that is current is by submitting a short sale file to the lender. Remember, PacifiCal Realty Group, nor its’ associates recommend that a homeowner default on their payments in order to complete a short sale. FAQ: How long will a short sale take? The short sale process typically takes 3-4 months, start to finish. It can take longer depending on the number of loans and who the lender is. 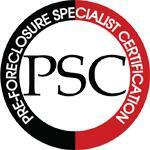 In some cases, a Certified Pre-Foreclosure Specialist can obtain an approval in just 30 days or less. Again, this depends on the complexity of the borrower’s situation. Many homeowners choose to stay living in the property for the entire duration of the short sale, which the lender prefers. FAQ: Who Benefits from a short sale? The property gets sold and the loan gets paid off. In most cases, the seller incurs no out of pocket expenses. For those sellers that were facing foreclosure, the credit disaster of a completed foreclosure is avoided. A homeowner who does not want to sell their home but are experiencing financial difficulties are facing the reality that selling their home may be the only viable option. Losing a home is an emotionally charged situation and most people do not face this reality until they get a notice from the lender that the loan is in a default status. Because many homeowners are not aware of the foreclosure process and the options that may be available, many homeowners avoid opening letters and/or taking phone calls from the lender. A short sale will save the lender a substantial amount of money compared to a foreclosure. Foreclosures are time consuming and more expensive because the lender will need to be responsible for attorney’s fees, the eviction process, repairing damages to the property as well as cost associated with the resale and general liability until the property is sold. With a short sale, the lender will substantiate a financial loss; however the costs are going to be less because the property will be sold without the lender having to take back the physical property. It is important to remember that the lender will be losing money either way; they do not want the property back through a foreclosure because of the additional required costs. FAQ: How much will a short sale cost me? A short sale costs the seller nothing – the lender pays all commissions, escrow/title fees, and closing costs. The lender may also pay any outstanding property taxes. In some cases, the lender will ask for a financial contribution in return for lien release and full forgiveness of the debt, however, each short sale situation varies. Also, income tax liens and outstanding HOA liens are not commonly covered by the lender. A Certified Pre-Foreclosure Specialist can consult you on the many solutions in satisfying the liens in these situations. FAQ: What is the difference between a recourse and a non recourse loan? In California, in general, a purchase money loan (meaning the actual loan used to purchase the home) is considered to be “non-recourse”. On the other hand most any type of refinance loans (whether it’s a ‘cash out’ or ‘rate and term’--including HELOC’s) are considered to be “recourse” loans. The difference between these two loans is that in a “recourse loan” the lender technically has the right (recourse) to go pursue the borrower for the money they lose in a foreclosure. So, in addition to taking the property back in the foreclosure, the bank also has the right to pursue the borrower for the money they lost. Also, many 2nd position loans are recourse. If the 1st loan forecloses, the 2nd loan may have recourse to pursue a deficiency for the money they are owed. The Making Home Affordable Program, initiated on February 18, 2009 by the Obama Administration, has been developed as a lending hand for homeowners who are undergoing difficulties fulfilling mortgage payments. By utilizing the strength of Fannie Mae and Freddie Mac, a Home Affordable Modification Program has emerged that has dropped monthly payments for over 4 million at-risk homeowners. The Helping Families Save Their Homes Act, signed May 20, 2009, reconstructs the HOPE for Homeowners Program, another legislative resource available for those who seek relief from possible foreclosure. As your Real Estate Brokerage firm, we can assist you by providing information regarding Real Estate trends, property searches, and basic property information. As your listing agent our primary responsibility is to market your home, negotiate purchase contracts, and act as an intermediary between all parties within your transaction. We do not provide legal and financial advice. We strongly recommend you seek advice from a CPA and or an Attorney, or any other licensed individual regarding legal, tax and other financial matters. If you are attempting to negotiate a short sale with your mortgage lender, or have defaulted on your mortgage or your home is currently in Foreclosure, it is your responsibility to be informed of any legal ramifications this may have against your credit and or liability you may have to your lender or the IRS. We are not a foreclosure consultant. Furthermore, PacifiCal Realty Group, Brian Cane, Keller Williams Realty and its associates do not give advice on foreclosure avoidance.